ServiceNow Knowledge15 focuses on fast easy enterprise-grade. In watching Frank Slootman, ServiceNow CEO and the Knowledge15 keynote speakers, you really do glimpse the future. The future of "Everything as a Service." For most enterprises, service management represents the state of operations in 2020. For some, particularly small and medium sized business, service management represents operations today. By managing business as a collection of services, you operate in a different way. At the same time, your expectations change too. By 2020 enterprises will manage hundreds of services requiring business operations to change. The new model will stem from a holistic integration of people, applications, and processes. Application integration makes the transformation possible. Integration provides the fabric for all requests. Governance risk and compliance (GRC) become embedded in business operations. With service management, GRC is automated through workflow and assumed in workforce enablement. It’s enforced throughout self-service operations, ticketed, reported and analyzed in real time. Matt Schvimmer, ServiceNow VP of Express for SMB, describes the shift as follows. Fast. Simple. Enterprise-grade. By this he means integration must be fast. Integration is no longer measured in weeks and days. It is measured in hours and days. Simple applies to configuration, administration, and reporting. It must be readily configurable. Require little administration and report a company’s actual state throughout operations. To be enterprise-grade, services must manage and support a company’s critical operations. Service management extends beyond traditional IT operations. It manages requests from customers, suppliers, partners and service providers. It governs access to facilities, finance, HR, and all business operations. Systems mimic social media and familiar user experiences like online shopping. The model assumes no formalized training to deploy and administer. Last year, we left Knowledge14 committed to extend our Avatier Identity Management Suite (AIMS) ServiceNow connectors. We started by making AIMS and ServiceNow ticketing integration bi-directional. Through two-way communication, AIMS tickets and reports ServiceNow requests as a completely integrated ticketing system. 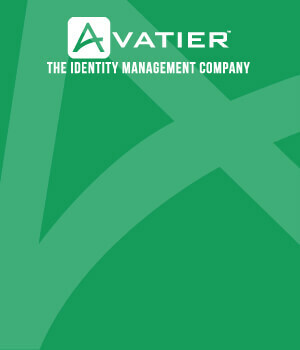 Similarly, AIMS enables fulfillment and reporting ServiceNow identity management requests. AIMS offers a fully automated ServiceNow solution for user management. 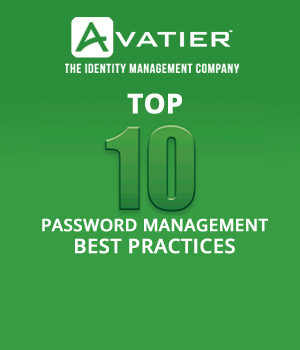 This includes governance over password management, user provisioning, and access management requests. In Q3 we’ll include our ServiceNow SAML Single Sign-On (SSO) connector as part of the Avatier SSO Store. As enterprises accelerate toward cloud services, we must manage services differently. While work needs to be done faster, traditional operations are largely outdated. To migrate to cloud services, you need different, yet familiar tools. You need to make it easy to be accurate and instantly productive. Compliance must be seamless to work processes and put into action without delay. Service management is no longer just for IT. Avatier and ServiceNow change the way enterprises operate. By automating workflow and enabling self-service, you create a better experience for everyone. AIMS’ ServiceNow connectors give you user-centric identity management capabilities without programming. This means deploying tools for password reset, user provisioning, attestation and single sign-on without impeding operations. Avatier identity management makes "Everything as a Service" easy. Enable user provisioning software rapid planning, strategic decision-making, and technology innovation. Jump start your user provisioning and identity management initiative. Learn from IT security experts and address the challenges that derail projects.